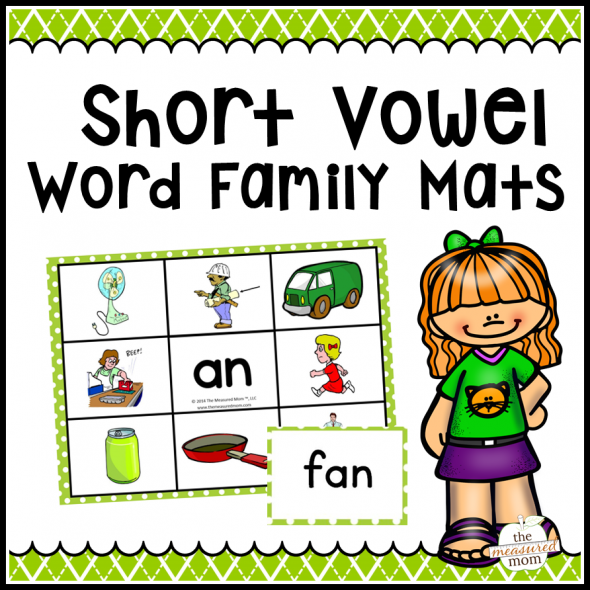 Have you seen my collection of 5 free learning centers for learning short a word families? Now that my Four has developed ease and fluency with reading the short a words, we’re moving on. I’ve already created short i word family houses. 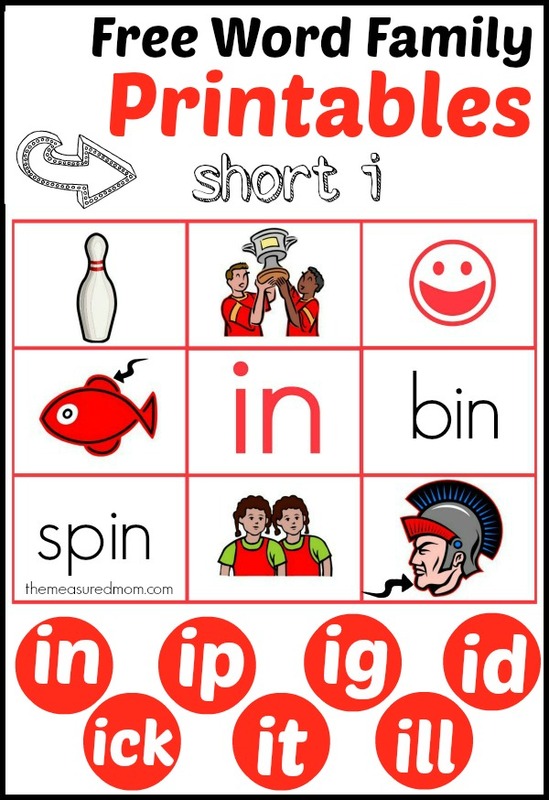 Today I’m sharing more free word family printables: read ‘n stick mats! When I teach my kids to sound out words, I always start with word families. That’s because when children can read a word family with ease, they can transfer that knowledge to many other rhyming words. For example, if my Four can read “at,” he can read “cat,” “fat,” “sat,” and more. 3) Have your child take off all the cards. Then have him read the name of the family in the center of the board. Next, he should read each card and match it to the correct picture. You will be teaching new vocabulary along the way when he gets stuck on a particular word (“What’s a sprig?”). Why not use worksheets to teach sounding out words? They’re much quicker. It may be quicker to give your child a worksheet rather than print and assemble a learning center or game — but it’s not nearly as effective. 1. Worksheets test. They don’t teach. While they may be valuable to assess what your child has learned, please don’t be mistaken that they are teaching a new concept. 2. Learning centers are hands-on, making them appealing and fun. 3. A variety of learning activities is best. A steady diet of worksheets won’t allow that. Why Read ‘n Stick Mats? 1. The picture clues are useful for children just learning to sound out words. 2. The learning activity can be as short or long as you make it – one mat can take just five minutes. For more of a challenge, do a few at a time. 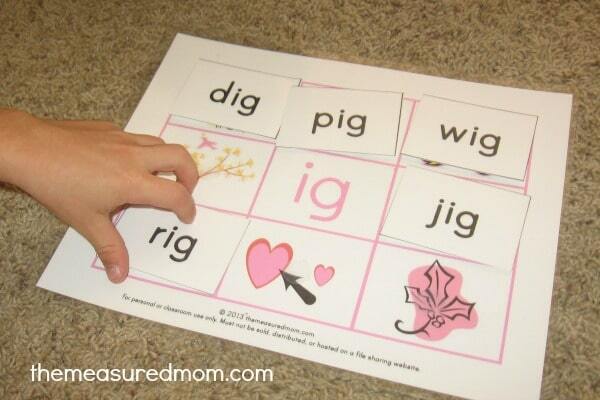 You can even mix up the words from several mats and have your child read the words and find the correct mat. 3. Kids love that ripping Velcro! There’s something so satisfying about ripping all the words off a mat, reading them one at a time, and sticking them to their correct spot. 4. As a bonus, your child will learn some new vocabulary words. It’s not possible to have eight well-known words easily represented by a picture – I have to throw in a few unfamiliar ones, too. For example, by doing the short i mats your child will learn the words bid, mill, and sprig. You will LOVE this bundle pack – get all the mats in two easy downloads – with new pictures! I created a free training just for you! Short i is a tricky one, for sure! I think that a and o are easiest, and i and e are a challenge. I hope this helps, Tereza! Oh my goodness! My 3 year old is going to be so happy once again! Thanks so much! You are very welcome, Marla! I’m so glad to hear that, Jo Ann! I hope you get lot of use out of them. More to come – eventually! These are great. You have such great ideas. I wish I was following you when DD was younger! Have a great week and thanks for stopping by Stanley & Katrina’s website! I’ve only been blogging since January, so I’m not sure I would have been much help when your daughter was younger :). Thanks so much for stopping by, Christine! WOW! Go, Anna! You have quite a blog in such a short time. Way to go! Your Read n’ Stick Mats are such a great idea, Anna! Thanks so much for sharing them! I featured your short i mats as a Free Printable of the Day yesterday at the Living Montessori Now Facebook page and on Pinterest. Thank you SO much for the feature, Deb! I always appreciate that! Great mats! So much better for retention to have the kids interacting with the word families! Awesome! Thank you for checking them out, Megan! Love that sight word cup game. I had pinned these awhile ago and I’m hoping to use them soon with my kids 🙂 I make stuff all the time for my kids, (but have no idea how to share them on my blog yet. Still have to figure that one out.) I know how much time it takes to make this kind of stuff and I sure appreciate it when someone else does the work and is willing to share it! Thank you for sharing these! This activity is great! Thanks for hosting and sharing on the After School Party. I’ve featured your activity this week in a Sight Word Roundup. Thank you so much for featuring it, Kim! I love all your cute and helpful Printables. 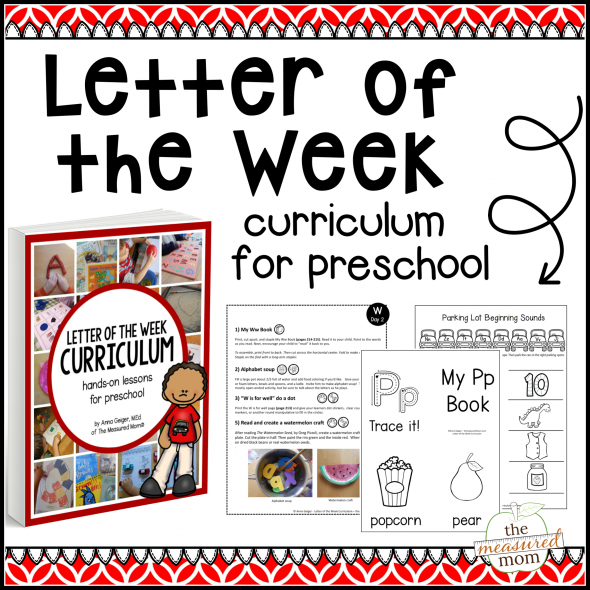 I’m adding you to my Homeschool Resource tab on my blog. This site is wonderful and I’m glad I found it on the Hearts for Home Blog Hop. Thanks so much, Lisa! I hope you find a lot you can use. You’re welcome, Nathalie – thanks for checking it out! Thanks a lot for the mats.Will be using it soon with my son.